PYONGYANG — North Korea has freed a Canadian pastor that was sentenced in 2015 to hard labor for life on allegations that he attempted to overthrow the government. Hyeon Soo Lim, 62, pastor of Light Korean Presbyterian Church in Toronto, had traveled to the country two years ago to build an orphanage, nursery and nursing home. He had visited the nation over 100 times in the past 20 years. “It is this tremendous love for the people of the DPRK that motivated Mr. Lim to travel [to North Korea],” family spokeswoman Lisa Pak told reporters. 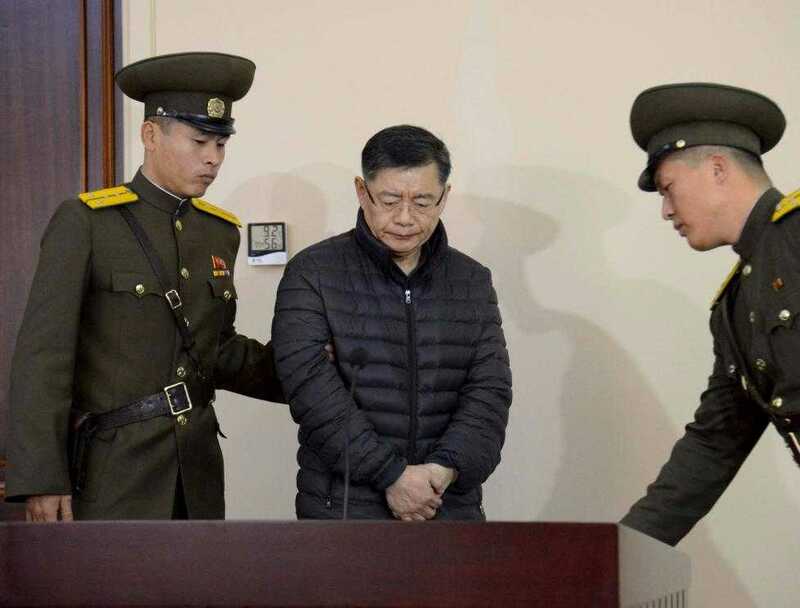 However, while carrying out his mission, he was taken into custody in February 2015 and accused of committing hostile acts against the North Korean regime. In December of that year, Lim was put on trial and sentenced to indefinite hard labor. Sitting down with reporters for the first time in January 2016, Lim said that he was the sole worker in that particular labor camp, digging holes for eight hours a day, six days a week. When asked what his needs were, he replied that he would like a Bible and more frequent letters from his family. His health soon also began to decline as he complained of stomach pain and high blood pressure. Lim likewise lost a significant amount of weight through the ordeal. According to reports, a delegation led by Canadian National Security Adviser Daniel Jean recently traveled to North Korea in an attempt to secure Lim’s release. On Wednesday, he was set free on “sick bail” and is expected to return to Canada on Thursday, where he will be hospitalized. “North Korea is concerned he would die in prison,” former Canadian diplomat Charles Burton told Reuters. Lim’s family and friends have expressed relief that he will soon return home. As previously reported, they had been concerned following the June death of Otto Warmbier that the pastor might face the same plight. “While Pastor Lim’s treatment is a reminder of the atrocious and evil nature of the DPRK regime, it should also be a reminder of how vigilant that regime works to keep their population literally and spiritually ‘in the dark’ as the Christian faith is seen as a direct attack on Kim Jong Un, whom they are brainwashed to worship as their god,” she said.